At Select Sandwich we love celebrating with you, no matter what the occasion. Canada’s 150th birthday is definitely something that we all celebrate as Canadians. Select Sandwich has been a proud Canadian company for nearly 40 years; the first restaurant opened by owner and founder, Brian Kahn back in 1979. 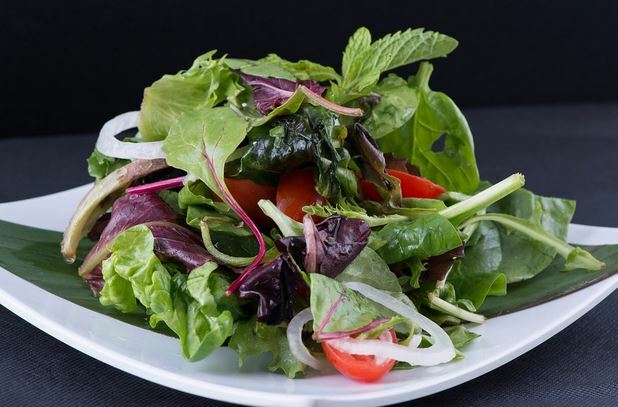 We are proud to be an established Canadian company, and proud to be able to provide you with delicious, healthy, nutritious and fresh meal options every day. 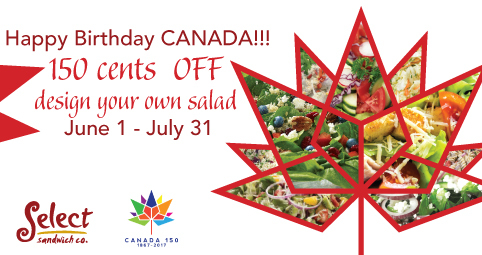 To celebrate Canada’s 150th birthday, from June 1st- July 31st, we are featuring our ‘Design Your Own Salad‘ where you can choose from the freshest ingredients to build your salad exactly the way that you choose, and at $1.50 off the total price. 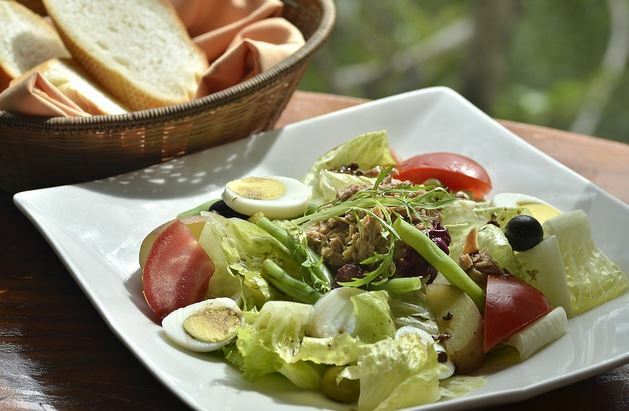 We have a variety of greens, fresh-cut vegetables, toppings, protein options and dressings to choose from, so that you are getting the exact salad that you want.